President Donald Trump’s pledge to renegotiate the supposedly unfair North American Free Trade Agreement has upended a remarkably stable and successful trade relationship. 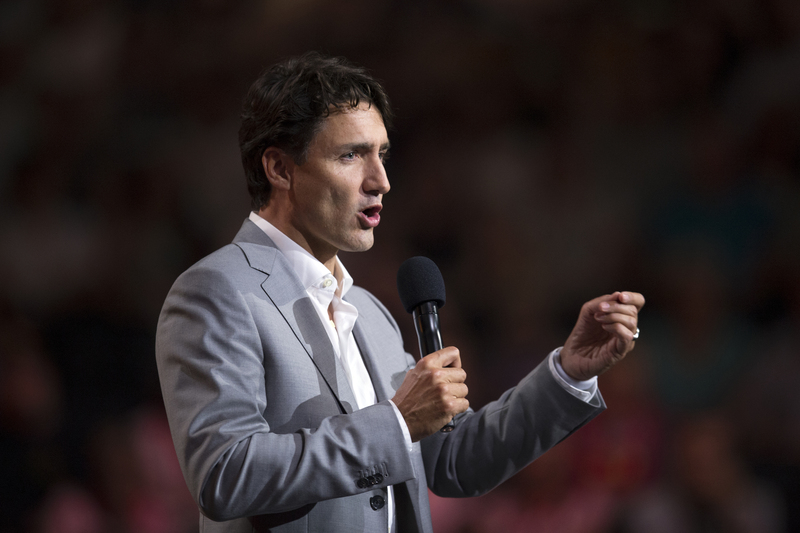 Posing as the defender of the post-war liberal economic order, Prime Minister Justin Trudeau has taken a firm stance in favor of the deal – a position which should be applauded in times of protectionist fervour. That being said, however justified Trudeau’s outspokenness on the issue is, it risks endangering the agreement and is ultimately counterproductive given Trump’s peculiar personality. In renegotiating NAFTA, flexibility on the part of the Canadian government is warranted and grand pronouncements in favor of trade liberalization are best avoided. Some of the US administration’s proposals are sensible, though they are, in characteristic Trumpist fashion, poorly argued. Canada’s supply-management system is a disgraceful protectionist scheme that hurts all Canadians except for a small clique of politically influential farmers. In truth, it deserves to be scrapped, and American negotiators are offering the Trudeau government the perfect pretext to do so. The system protects agricultural jobs in Canada by centrally managing the quantity of products supplied by producers, thus artificially inflating the price that consumers face. The policy has regressive distributional effects, which means that in effect poor Canadians end up subsidizing the inefficient dairy industry. The federal government has long needed a push to abandon its incestuous relationship with Canadian farmers; the diffuse costs of the supply management system create a collective action problem among consumers that allow protectionist interests to gain the upper hand in political lobbying. As a result, the Canadian government has been chronically incapable of abolishing a program it knows to be harmful.The Americans are now conveniently providing the opportunity to abandon this program. Likewise, the Investor-State Dispute Settlement mechanism contained in NAFTA is badly outdated and raises questions regarding the protection of signatories’ regulatory autonomy. An ISDS mechanism allows foreign investors to sue and seek compensation from host countries when they fail to properly protect or endanger the viability of the foreign investments made. As such, an American corporation is empowered to sue the Canadian government in case the latter pursues policies that threaten the firm’s profitability. NAFTA’s mechanism was a pioneer in this regard and triggered a massive expansion in the number of arbitrations demanded by investors. However, Chapter 11 of the treaty, which deals with the ISDS mechanism, has appeared increasingly outdated because innovative legal language has been developed since 1994. Ongoing cases filed against Canada deal with reclamations in the hundreds of millions of dollars, which has fueled division over the desirability of ISDS procedures. Concerns have also grown regarding diminishing regulatory autonomy of states caused by corporate complaints. This problem has been acknowledged by the Canadian government itself in CETA negotiations, which includes a much more clearly delineated protection for regulatory jurisdiction in its Chapter 8.9. Eliminating NAFTA’s ISDS procedure entirely would undoubtedly be foolish: Canada benefits from increased certainty for investors and is in a way forced to follow the international trend towards increased protection. But reforming it would carry little political costs for the Trudeau government and have the added benefit of genuinely improving the agreement. ISDS is politically unpopular regardless of the specific form it takes, but reform would nonetheless be perceived as a step forward. This is not to say that the Trump administration’s plan is completely sensible; the sunset clause is an example of American government’s absurd proposals. If adopted, it would require periodic renegotiations, which would create needless uncertainty and ultimately minimize the treaty’s positive effects. Indeed, the long-term, cross-country investments that make NAFTA so beneficial would be threatened by a sunset clause because the mere existence of uncertainty is costly and affects firm behavior. Likewise, an increased rules-of-origin requirement, would upset global value chains and drive up commodity costs as firms would be forced to relocate production. The stable trading relationship between Canada, the United States, and Mexico has incentivized firms to locate each step of the production process where it is most efficient. As such, a single item may have been shipped back and forth between NAFTA countries a handful of times before it was finally assembled. An increase in the ROOs requirement would unnecessarily disrupt the complex and remarkably efficient process that leads to the manufacturing of NAFTA goods. In confronting such a head-scratching array of suggestions, the Trudeau government should in effect cut its losses: accept the less than perfect proposals on ISDS and supply management in order to salvage the more crucial parts of the agreement outlined above. Flexibility is key. Chrystia Freeland and other Canadian negotiators must allow the Trump administration to claim victory while keeping the bulk of the treaty intact. Donald Trump has consistently demonstrated his willingness to use politically salient scapegoats to energize his political base, as he did in withdrawing from the Paris climate accord; he must not be given the chance to do it again.